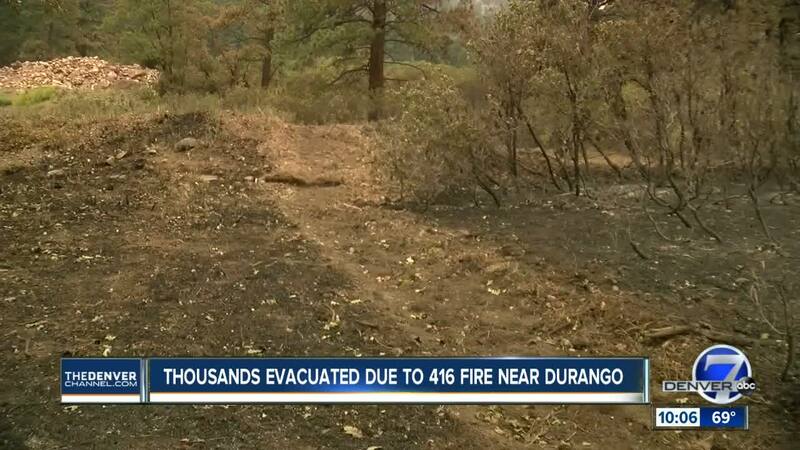 DURANGO, Colo. – Some people who were forced to evacuate their homes in San Juan County because of the 416 Fire will be allowed to return home starting at 8 a.m. Wednesday but will remain on pre-evacuation notice. But those in La Plata County who have been forced to leave their homes will have to stay away. San Juan County residents who will be allowed back home Wednesday morning will have to show authorities their Rapid Tag resident credentials if they are to be allowed back into their homes. The decision was made Tuesday afternoon because of predicted fire behavior and progress made in fighting the fire Tuesday. A La Plata County spokesperson said the lifting of the evacuations for San Juan County applies to 184 homes. The spokesperson said that additional re-entries for some La Plata County residents would be considered as progress is made on the fire’s east side. 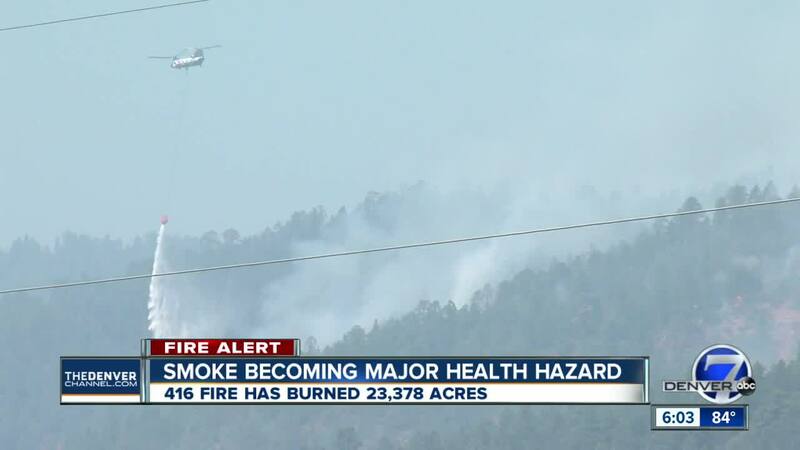 Residents can call the community hotline at 970-385-8700 if they have questions. U.S. Highway 550 will also reopen at noon on Wednesday to escorted traffic until 6 p.m. The northern closure point has moved from Molas Pass to just north of Purgatory Resort. La Plata County Commissioners enacted Stage 3 fire restrictions on Tuesday , closing all county trails, banning all fires except with prior notice during the restrictions and banning firearms shooting in the area. The 416 Fire was estimated to be about 23,378 acres in size as of Tuesday morning. Firefighters upped the containment level from 10 percent to 15 percent. More than 2,100 homes remain under evacuation notices and more than 1,000 firefighters are working on the fire. The Burro fire, which is burning to the west of the 416 Fire, was an estimated 2,136 acres as of Tuesday morning. Firefighters said that fire is 0 percent contained. A total of 203 firefighters were assigned to that fire as of Tuesday night. As of Tuesday, the entire San Juan National Forest is closed due to persistent high fire danger in the region. Forestry officials made the decision to close all 2,800 square miles of forest to preserve natural resources and ensure public safety. The closure means no access is allowed, including on roads and trails and in wilderness areas, day use areas and campgrounds. The forest will remain closed until the area receives enough rain to improve conditions. On Friday, a host of Colorado leaders, including Gov. John Hickenlooper, Sens. Michael Bennet and Cory Gardner, Lt. Gov. Donna Lynne and Rep. Scott Tipton will be in the area meeting with local government leadership, firefighters and community members. Hickenlooper issued a statement on the fires burning across the state Tuesday.